One of my favorite things to do when I’m traveling to Disney is plan out my outfits for each day and have lots of choices of shirts, ears, and other accessories to be totally adorned in Disney. World Traveler: Cafe Forty Seven; Passport: LetsMakeSomeMagic; Sneakers: Adidas; Grand & Miraculous: Happily Ever Tees; 3D Printed Ears: Aloha Ears Design; Pin: Bibbidi Bobbidi Brooke; Buttons: Parkbound Buttons; Candle & Wax Melts: Walter & Rosie Candle Co. 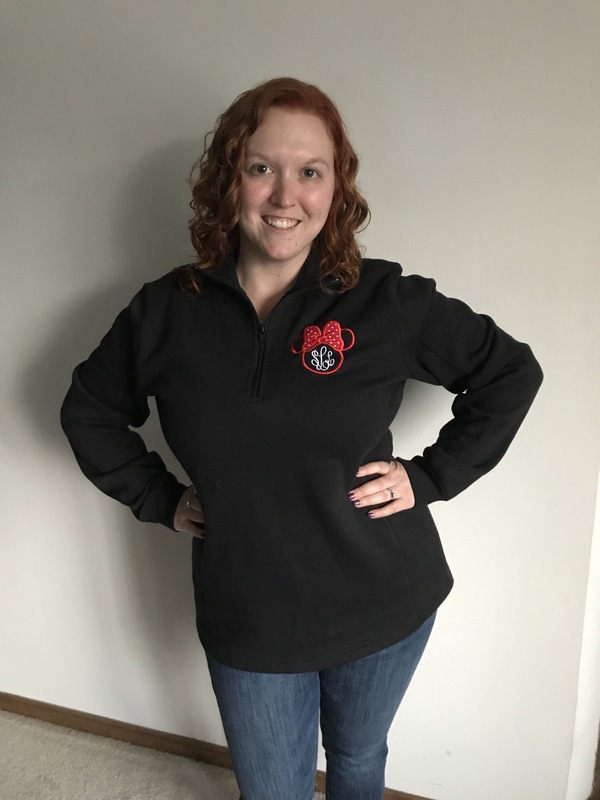 While the photo above showcases a number of items from many incredible shops, today’s post will focus on shirts, sweatshirts, and rain jackets! It wouldn’t be a post about apparel if I didn’t start with Cafe Forty Seven. One of my first Disney shop purchases was a Cafe Forty Seven box, which featured my World Traveler shirt! In addition to the perfect Epcot accessory, I also snagged the Have a Good Hair Day shirt in the next Cafe Forty Seven box! Everyone who knows me knows Ariel is my girl!! When I first checked out Shelby’s shop, I saw pictures of I Enjoy Long Romantic Walks Down Main Street USA and pretty much stalked her Instagram until I saw she was restocking it. For me, Cinderella’s Castle is the most romantic site I could ever see. And since my hubby proposed in front of the castle, I feel extra dreamy about it. Plus, sparkly rose gold?? Try and stop me! I am so in love with this Always Kiss Me Goodnight heathered navy tee! What better shirt to wear when heading to the most magical place on earth than Cafe Forty Seven’s take on a fantastic Miley song! 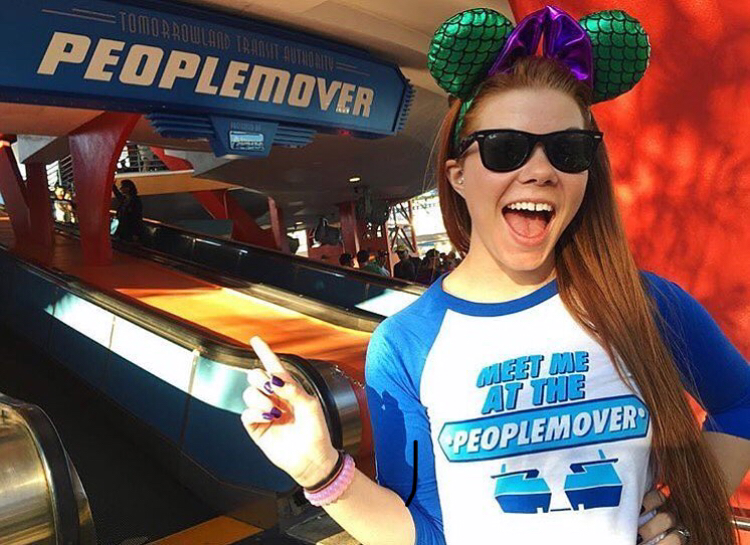 Whenever I hear it now, I sing Hopped of the Plane at MCO with a Dream and my Magic Band! As we first began planning our trip, I started suggesting ideas for matching shirts for me and my husband to wear. He was NOT into the idea at all. I eventually stopped saying anything but would occasionally show him shirts I found that I thought were cute. No request. No expectation. Just “oh, these are cute!” and showing him the screen. Well, when Shelby posted these and my husband saw, he immediately said, “I’d wear that!” without me even having to ask! So, I’m With My Crazy Disney Wife and Disney Life Happy Wife are part of our collection. Once Upon Apparel has multiple options for these, but we got ours from the listing called Custom Sandwiches Sets. In all my shopping, I’ve learned which cuts and styles of shirts I prefer so it was nice to be able to choose from so many options. 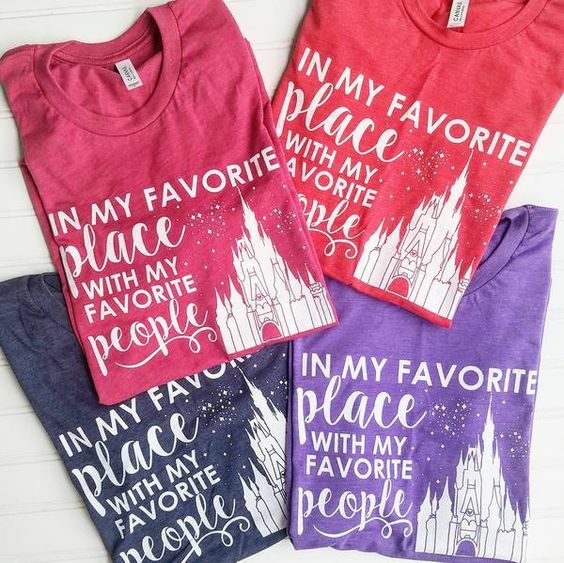 We also just ordered custom red Favorite Place with my Favorite People / Person shirts for my whole family to wear! Katie and David are great at working with you if you want different color shirts than what are listed and different styles. We needed a couple unisex crew necks, some ladies relaxed v-necks, and a kids shirt. Bonus: the offer a bulk item discount when you order 6 or more shirts! Next up is Happily Ever Tees! Nicole and Cam put such love and devotion into their designs and you can just tell by looking at their Instagram feed how much they love creating magical shirts. The first one I snagged was a tribute to Wishes, the former fireworks show in Magic Kingdom that ran for 14 years! I also had to grab the gorgeous Flower & Garden Festival Grand & Miraculous shirt, even though I knew I wasn’t attending the festival this year. It’s just too pretty and I have so much love for Epcot. That tee isn’t available right now but I’ve linked their Food & Wine Festival version here. All Things Cute Designs is also one of the very first shops I started following and snagged one of my absolute favorite tees from! You already know Ariel is my girl so Wandering Free has to happen. This shirt is one I grab more often than most others and I just love the fit and color and everything. 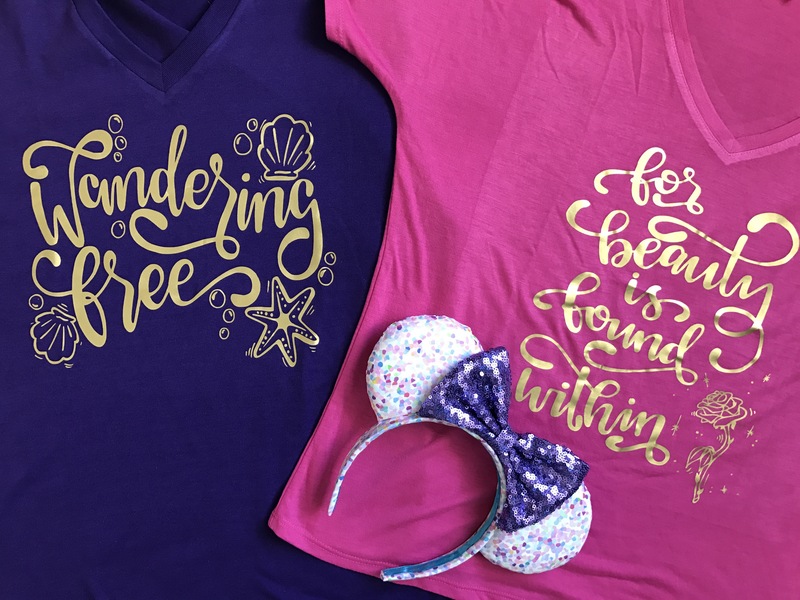 I also snagged For Beauty is Found Within right before the live-action Beauty and the Beast came out and it was perfect to wear to the movies! I’m not sure she has these available anymore, but stock is always changing, so ya never know when you might find it. Keep up-to-date on stock info on her Instagram! 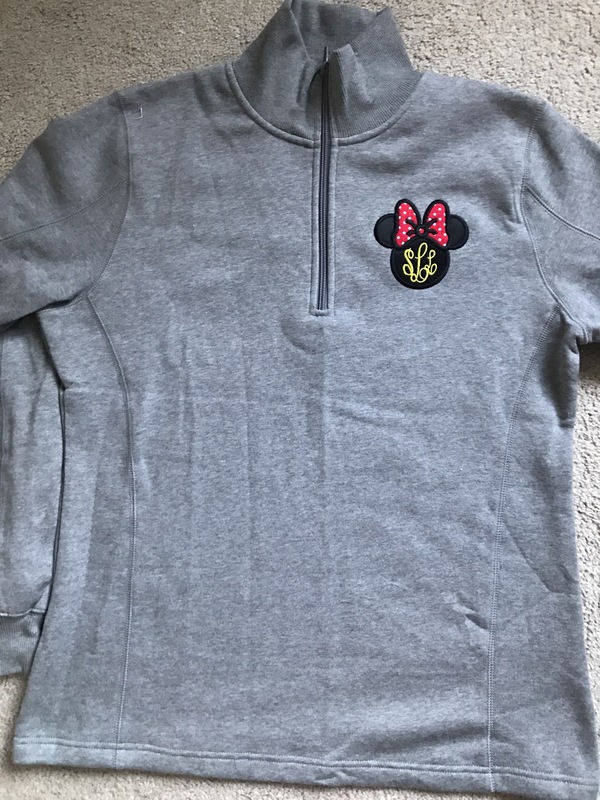 In my eternal effort to get my husband to wear Disney shirts, I stumbled onto 2319 Threads on Instagram and their Li Shang’s Fight School shirt was so beyond perfect. Mulan holds a special place in our hearts, plus my husband is trained in several different forms of martial arts, including swordsmanship. I bought this for him as a surprise and he truly loves it!! Not to be outdone (and because I can’t resist an opportunity to match), I grabbed the coordinating Girl Worth Fighting For tank for myself. Now that we’re done with my excessive shirt collection, let’s move onto sweatshirts! My shop of choice for comfy cozies is Pretty Little Monograms! I have two of their amazing popovers, one in grey and one in black and I absolutely LOVE them!! I also have one of their zip-up sweatshirts in neon pink with Lilly Pulitzer fabric for the bow. Pink and teal are probably my two favorite colors and I love them even more together, so I look for excuses to wear this one all the time. 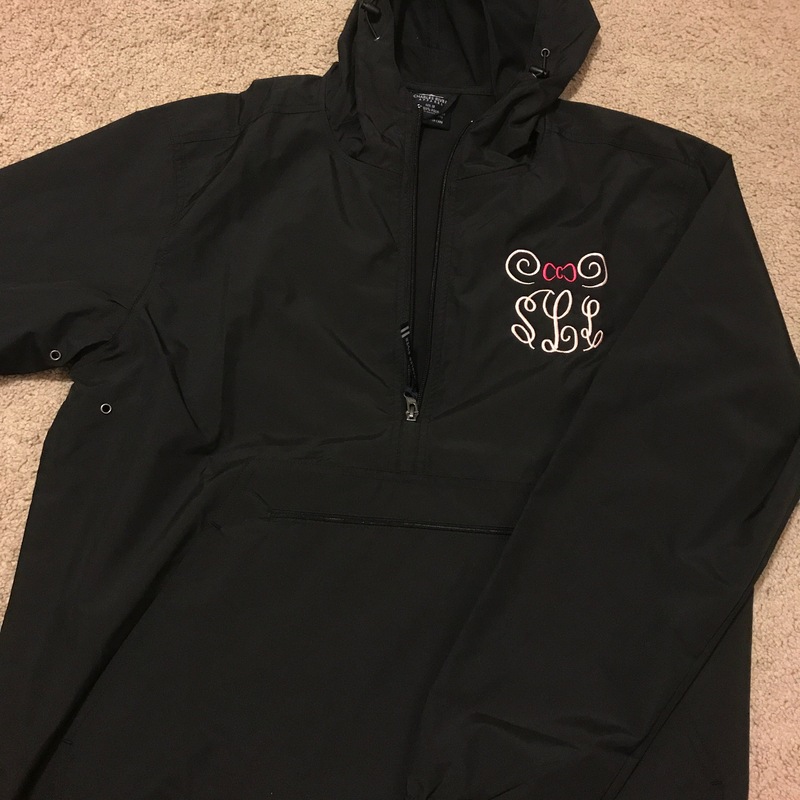 I also have two fabulous Disney-related rain jackets. Once is also from Pretty Little Monograms, and one is from this great shop I discovered on Etsy! 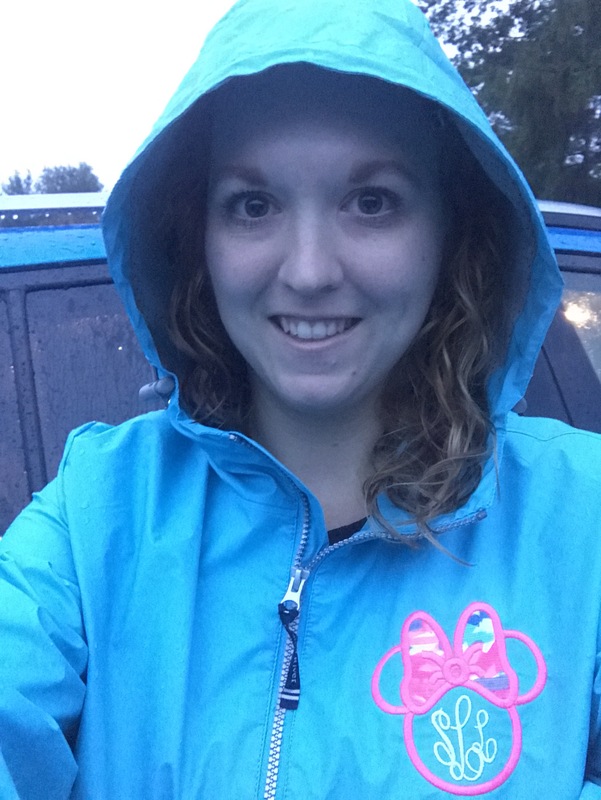 I love my PLM Mouse Bow Monogram New Englander Rain Jacket in aqua with a Lilly fabric bow and pink stitching. I wanted a pack ‘n go rain jacket, too. I wanted to be able to keep it in my work bag but also something compact for our backpack to carry around Disney instead of just a rain poncho. I wanted to change it up a little since I have so many PLM items already. 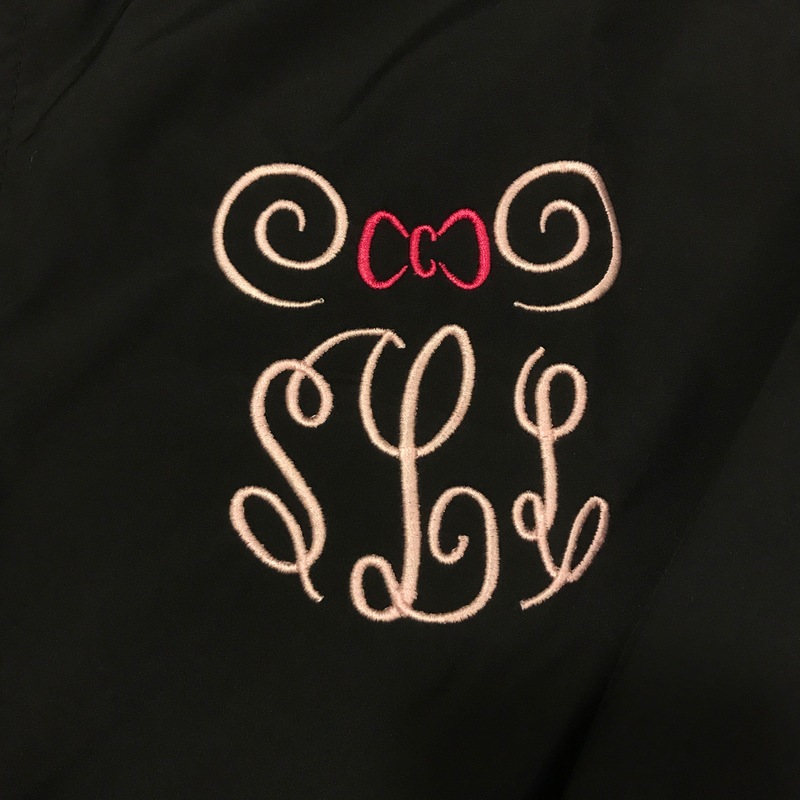 MBW Custom Embroidery has some really cute monogram options and one resembles a certain mouse and her bow, so you know that’s the one I went for. Alrighty. I think that’s it for my crazy collection of Disney apparel (for now). Have a favorite shop I didn’t feature? Let me know in the comments below!